Improvement of the heat transfer is very important in different industries. It leads to modification of the performance of various industrial equipment and increases of their efficiency. Improving the heat transfer rate could be taken in different ways. Among them, the application of the baffles is remarkable, because of the lack of the energy sources including electricity and lower costs. 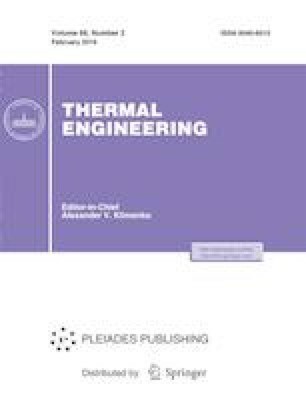 In this work, the effect of shapes of asymmetric baffles on the thermal performance was investigated. Five different shapes as vertical Rectangular, Rectangular diagonal, Trapezoidal, Triangular and Semi Ellipsoid were used as baffles. Three different cases of thermal boundary conditions were used for channel wall and baffles. Three cases are: Case 1 (adiabatic baffles and constant temperature of channel walls), Case 2 (adiabatic baffles and constant heat flux of channel walls) and Case 3 (constant temperature of channel walls and baffles). Governing Equations (included the equations of continuity, momentum and energy) were solved using the finite volume method over the control volume. Results show in Case 3, with constant temperature of channel walls and baffles, the thermal performance with Triangular baffles is more than other shapes. But, in other two cases, the thermal performance with Semi Ellipsoid baffles is more than other shapes.